Do your own testing and save money! 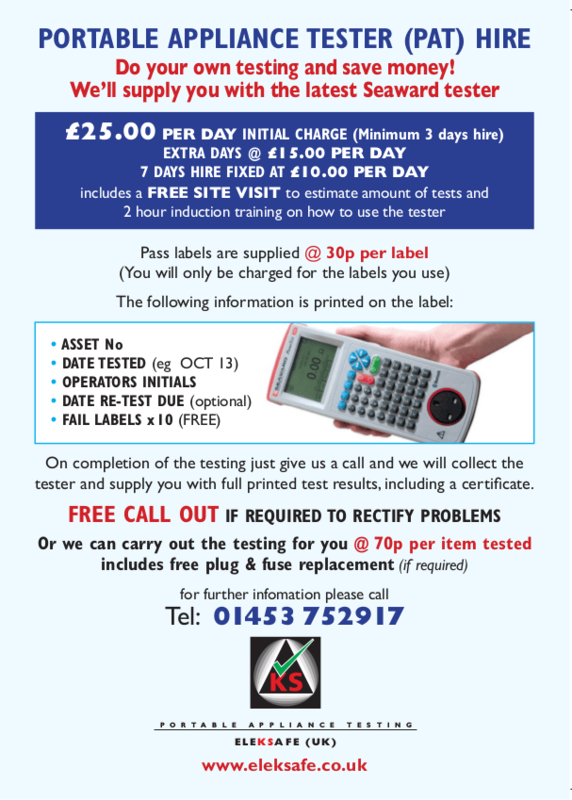 On completion of the testing just give us a call and we will collect the tester and supply you with full printed test results, including a certificate. FREE plug and fuse replacement if needed.